We are a competent, compliant and punctual multiple trades contractor operating in the Edinburgh and Lothian areas. We work to all British Standards and in compliance with all health and safety regulations. We aim to work within cost, time and risk tolerances. We ensure that all our work is signed off by our Quality Assurance team. At Weatherproof, we are aware of our duty of care to our customers, employees and the public. -Work completed on time, safely and within budget. Weatherproof completely re-rendered and re-harled the house, and the associated garden walls (over 250m2 in total), taking the 60 year old house from looking tired, and having some damp ingress issues, to looking fantastic and as good as new. 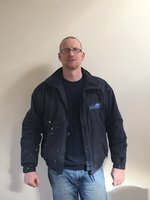 There were a number of challenges to face, including the weather, but Darren and his friendly team worked flexibly and tirelessly to get the work done before the worst of the winter weather set in. Overall, a very good job done and good value for money. A highly recommended team of industry professionals. Looking through the web for a local contractor we came across Weatherproof Edinburgh Ltd's web site. It was very informative and showed examples of completed projects and the testimonials of previous clients which gave us the confidence to contact the company for a quotation for works to our house. On meeting Darren we explained what we were looking for and he followed this by providing us with a very detailed and specified quotation, which we duly accepted. Darren and his experienced team set to work and have transformed what was a very tired and damaged facade into a sharp and welcoming frontage. We also asked Darren to paint the cast iron gutters and down-pipes on the house which was duly done and now adds to the overall fresh appearance of the house. We needed our harling totally replaced, and went to a site which offered approved local traders to quote. While not the cheapest of the bids, the professionalism of Darren and his team stood out from the beginning. No problem that was come across (in an 80 year old house ) was too tricky, and everything was done as we watched. And done to perfection. Even the final cleanup was thorough. And the new harling is exceptional, better than we ever hoped. And the team? Some of the nicest workmen we have seen. Darren & Ronnie "stitched up" a part of a brick wall where the weight of copes had caused some movement & cracking over the years. It was difficult to access as scaffolding had to be built over a conservatory to reach the damaged area. Darren organised the scaffolding & carried out the work to a high standard with attention to detail. Darren identified the issue & recommended tying the copes with metal rods to stop any future movement. Although this increased the price it was necessary to do this to stop any future damage. The guys also cleaned out gutters, fixed some roof tiles & left the area clean & tidy at end of job. The overall job took much longer than expected due to high winds & heavy rain, however Darren kept me informed of the situation throughout this challenging work. I would definitely recommend Weatherproof for this type of work. Above all,they were really friendly & extremely helpful! Very pleased from start to finish with a rough casting job well done. Would certainly recommend the company for any similar work. Also they did a great job of tidying up on completion of the job. We were away from home for some of the time and Darren kept us up to date with progress. Overall a very good experience. From initial contact with Darren, we have been very impressed with Weatherproof. He was always extremely speedy with replies/quotes and then actually getting the job done (despite some terrible weather!) We cannot recommend them highly enough. Many thanks for your extremely hard work!! 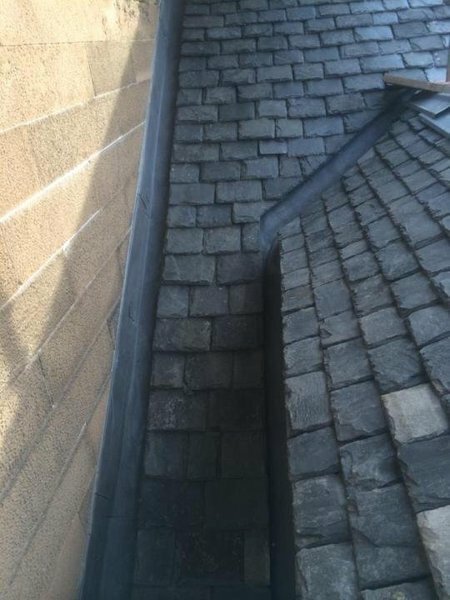 Darren and his team did a terrific job rebuilding chimney stack, and carrying out other roof work in liaison with chartered surveyor, local council and historic Scotland. Good communication throughout. On time, pleasant and helpful. Work done well and would use again.